Nick at Nite will premiere its first-ever original live-action family comedy executive produced by and starring Scott Baio, "See Dad Run" on Saturday, Oct. 6, it was announced today by Marjorie Cohn, President, Original Programming and Development, Nickelodeon Group. A multi-camera scripted half-hour, the series follows David Hobbs (Baio) an actor who, after ten years of starring as America's favorite TV dad, becomes a stay-at-home father to honor the deal he made with his soap star wife (Alanna Ubach, Meet the Fockers) so that she may return to the limelight. 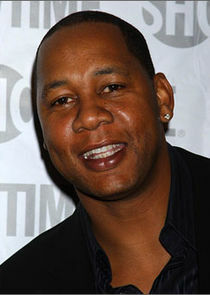 Mark Curry (Hangin' with Mr. Cooper) also joins the series as David's friend, Marcus. The series is currently in production on the former Happy Days stage in Los Angeles.